If you'd like to relive the days of having the ultimate status symbol, slip your iPhone into this chunky, brick-like case. It's not going to fit in your pocket or your purse, but if your backpack or briefcase is big enough, you might have some luck. 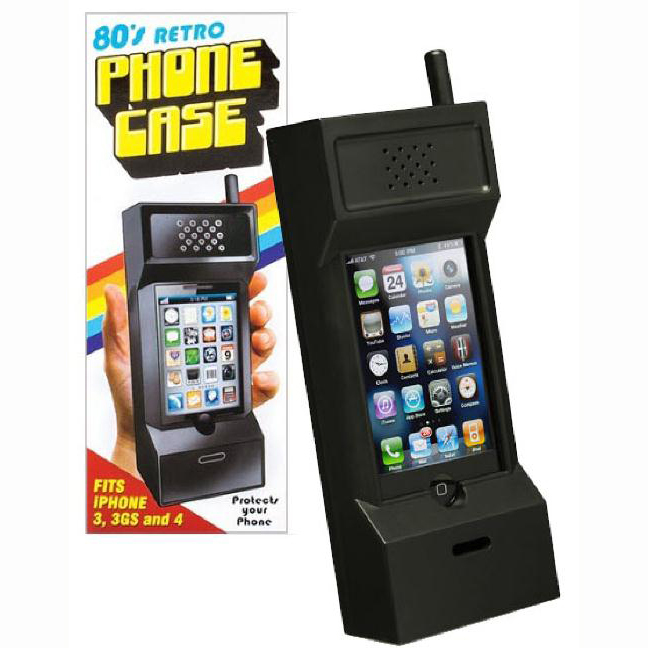 Don't worry, though, the Retro iPhone case still allows you to access all of your 21st-century features. We're definitely picking up one of these to use at 80s costume parties. Note: Actual iPhone is not included. This is a case only. - Compatible with iPhone 3GS, 4, 4S and 5.